+ Lucknow, the erstwhile city of the nawab is today a booming metropolis. Perfectly balancing old world charm with modern infrastructure and facilities, it is a mega city of immense potential for investment. + A world-class international championship golf course, Mahesh Bhupati Tennis Academy & Fortis Medi City all in proximity reflects Sushant Golf City as a hi-tech residential township with synergy of architectural aesthetics making life on the greens a reality. Sprawled across 2000 acres, expandable upto 5000 acres the project offers both elite residential sectors having luxurious apartments, villas and condominiums as well as commercial areas of well-equipped offices and commercial spaces incorporating designer landscaping with state of the art infrastructure, entertainment & health care facilities all within the township. 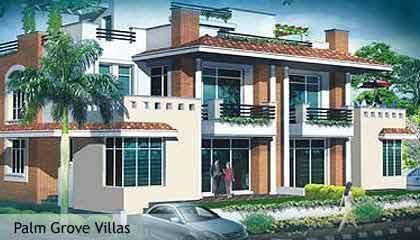 A wide collection of simplex and duplex villas are in the offering termed as Oakwood Villa, Larchwood Villa and Charmwood Villa besides Palm Spring and Palm Grove with option for future expansion. In line with its vision of world-class township, the project is envisioned as the most sought after destination not just for living but also as a centre of entertainment; education and healthcare. It will also have a five star club with recreation facilities all within the township.